Click here to make a secure online gift with your credit card. We are pleased to help you honor someone special or make your gift in memory of a loved one. Please include this information if you mail a gift to us. For online gifts, space is available to provide these details. 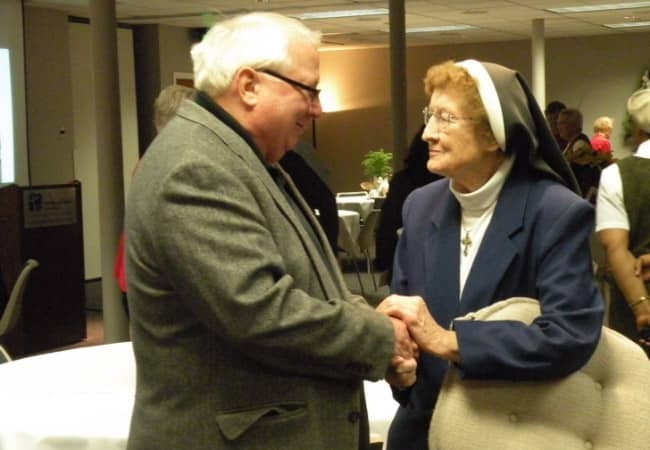 Gifts to the Dominican Sisters ~ Grand Rapids are tax deductible as allowed by law. Our EIN number is 38-1360581. Thank you for helping us praise, bless, and preach the Good News of our loving God.